Copyright: © 2016 Garg SK. This is an open-access article distributed under the terms of the Creative Commons Attribution License, which permits unrestricted use, distribution and reproduction in any medium, provided the original author and source are credited. Total hip and knee arthroplasty have been established as extremely successful procedures providing relief from pain and disability. These procedures have transformed the lives of millions of patients across the world and continue to do so. So huge has been the impact of the total hip replacement that some authors have labeled it as the “operation of the century”. History of joint replacements goes back to 19th century, but it was in 20th century that true breakthrough was made with successful implantation of cemented low friction metal-onpoly total hip replacement by Sir John Charnley in 1961. It was closely followed by successful implantation of cemented total condylar knee by Dr John Insall. These two techniques are still the gold standards. Quest for improving the results of earlier design saw a lot of changes in all aspects of arthroplasty i.e., design of components, method of fixation (cemented/uncemented), type of bearing surfaces, materials and surgical techniques. Though enjoying a very high success rate, the aseptic loosening due to osteolysis continues to remain a problem. Osteolysis after arthroplasty was attributed to use of cement. It acted as an impetus to develop modern uncemented implants, a method which was originally used in total hip replacement by McKee Farrar in 1940s with moderate success. The success of uncemented arthroplasty, especially total hip replacement, led to rapid development of a number of design modifications and material development to further improve the longevity of the replaced joints. The advent of trabecular metal has been a big plus as far as revision hip and knee arthroplasty is concerned. When the uncemented prostheses failed to eliminate the problem of osteolysis, it was realized that inflammatory response to particulate debris from polyethylene wear was the major cause of osteolysis leading to aseptic loosening and reduced longevity of the implants. To address this problem, there has been tremendous on-going research to decrease the quantity and alter the quality of wear particles by improving the quality of existing polyethylene as well as to create new bearing surfaces. This aspect has become of paramount importance in order to improve the longevity of the arthroplasty as more and more active and young patients are undergoing joint replacements, especially total hip replacement. These efforts led to improved sterilization techniques and development of highly cross-linked polyethylene. It also resulted in the development of alternate ceramic-on-ceramic and metal-on-metal articulations to completely eliminate the polyethylene. Once it was understood that bone cement is not the primary culprit for osteolysis, it rekindled the interest in cemented hip arthroplasty leading to development of modern cementing techniques and implants. Advent of newer component designs and concepts was inevitable. Modularity of components has been a key feature of development of arthroplasty implants. Modular femoral, acetabular and knee arthroplasty components have increased the ease of doing surgery and are also useful in replicating the patient’s original anatomy. Modular components have proven to be a boon in revision surgeries. Developments of large femoral heads have greatly reduced the dislocation rates in hip arthroplasty while hi-flex designs have improved the range of motion in total knee replacement. Another significant idea which took shape was development of a resurfacing arthroplasty. It is not only a bone conserving procedure but due to its near anatomical size femoral head allows more functional freedom and has negligible dislocation rate. Evolution of dual mobility total hip replacement is another attempt to reduce dislocation rate, especially in high risk groups. Minimally invasive surgery is the buzzword and arthroplasty has also benefitted from minimally invasive approaches which have helped in expediting the patient rehabilitation and early discharge from hospital. Computer navigation has established itself as a useful adjunct in achieving optimal component placement, especially in knee arthroplasty. Great advancements have been made in the field of total hip and knee arthroplasty in the last few decades but we have to accept that not everything has turned out the way it was envisaged. As every coin has two sides and the same is true regarding newer advances. Metal-on-metal hip arthroplasty and iso-elastic hips which at one stage seemed so promising and were considered to be the biggest technological success, failed miserably. The failure of modular necks in THR is also a case in point. Moreover hitherto unknown newer problems like trunionosis have emerged due to a combination of various new developments like modular femoral head and neck. Similarly in knee arthroplasty, paradoxical motion, lateral lift off, asymmetrical roll-back which were never heard of before are now burning topics in today’s knee forums. 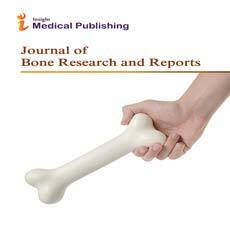 Through this special editorial issue, adult reconstruction- joint replacement, the journal of bone reports and recommendations is trying to bring to its readers what are the most recent concepts and evidence on various aspects of hip and knee arthroplasty.